About a month ago I decided to try this amazingly easy recipe I found in Real Simple magazine. I tweeted about it and got quite a buzz. 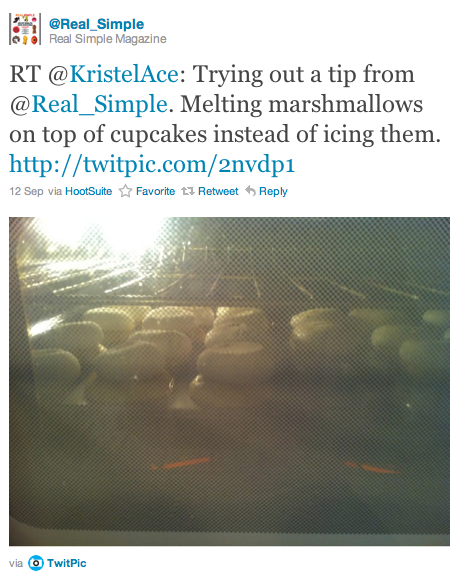 Even Real Simple retweeted me...it's probably the highlight of my Tweeting career. 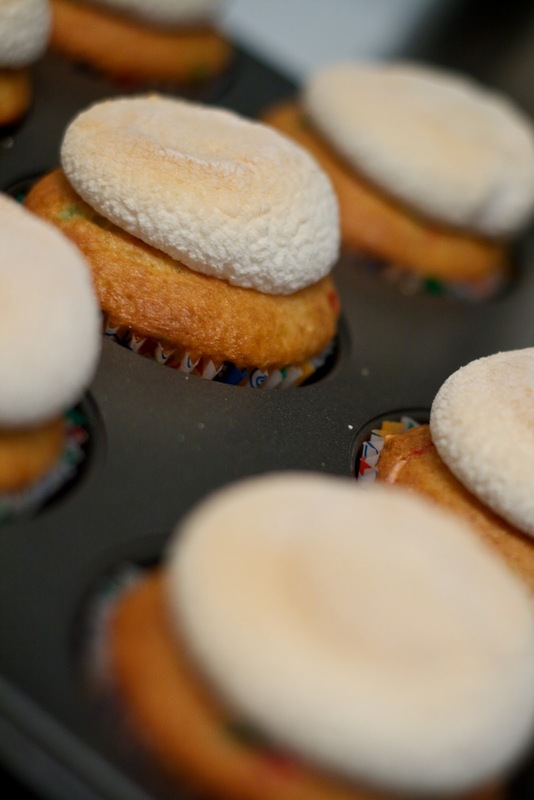 Anyway, basically you make regular cupcakes and then when you have about three minutes left to bake you stick marshmallows on top and let them melt. It's absolutely delicious! I think I even like it better than regular frosting. It's not as sweet, but still sweet enough. 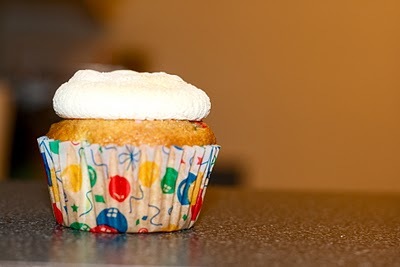 It's a pretty good solution for people who are not fans of gobs of icing on their cupcakes. So give it a try next time you're planning on baking some cupcakes and let me know how it turns out.